Despite what the tired old adage says, the customer is not always right. Not all customers deserve your best efforts: in the world of customer centricity, there are good customers...and then there is pretty much everybody else. 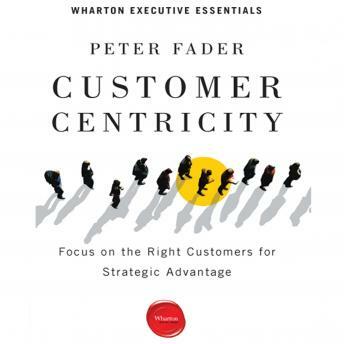 Upending some of our most fundamental beliefs, renowned behavioral data expert Peter Fader, Co-Director of The Wharton Customer Analytics Initiative, helps businesses radically rethink how they relate to customers. He provides insights to help you revamp your performance metrics, product development, customer relationship management and organization in order to make sure you focus directly on the needs of your most valuable customers and increase profits for the long term. Gildan Media is proud to bring you another Wharton Digital Press Audiobook. These notable audiobooks contain the essential tools that can be applied to every facet of your career.